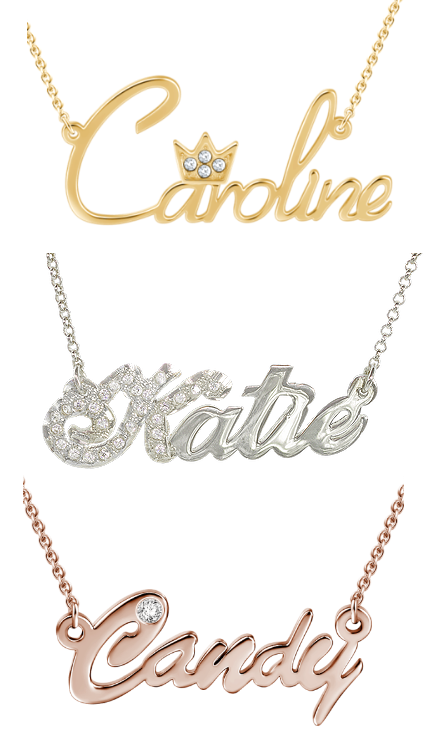 In our jewelry shop in Antwerp we sell gold and diamond name necklaces that are custom made. We have been doing this for over 20 years and you can be assured when ordering our name chains that you will get results of the highest quality. You can pick which font we use yourself and how tall or wide your necklace will be. In short, you have pretty much complete freedom to decide for yourself when choosing how your name necklace is deisgned. We do this in 18K rose, white and yellow gold. If you wish, it’s also possible to cover your gold name chain with diamonds. Custom made jewelry is one of our specialtiest, and we will gladly help you in the creation of your name chain to your custom desire. 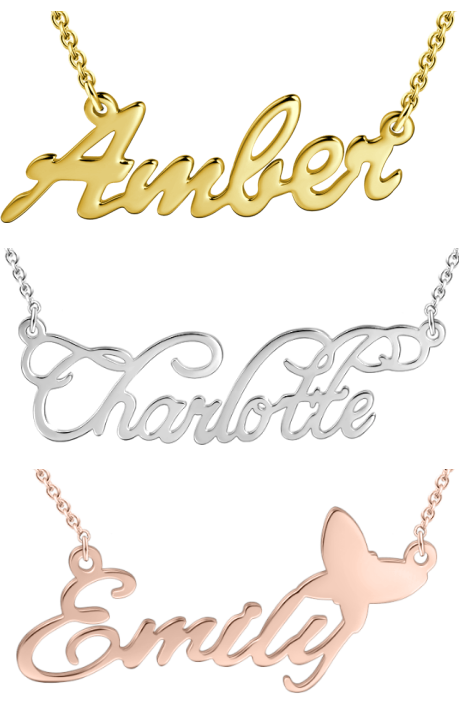 You also have a significant choice in necklaces to go along with the name itself. In our shop, we have 100 different kind of chains, from light to heavy, and in all 3 colors. Our name necklaces are made in Antwerp. If you choose diamonds, they are also set in Antwerp. This ensures the highest quality finish, as Antwerp setting is the best. Feel absolutely free to ask more questions about our custom made possibilities by contacting us. You can do this either by phone, e-mail, or text. We are proud of the full customer service we are able to supply to our clients, we really give the best possible effort we can to service you. Please note it takes about 7-14 days after finalizing details and receiving payment to finalize this type of order.